Our Black Ramen was the highlight of the evening. The rich, flavoursome broth was fragrant and served nice and hot. The pork flavour was forward without being overly salty, and exhibited a touch of spice that tingled your mouth. 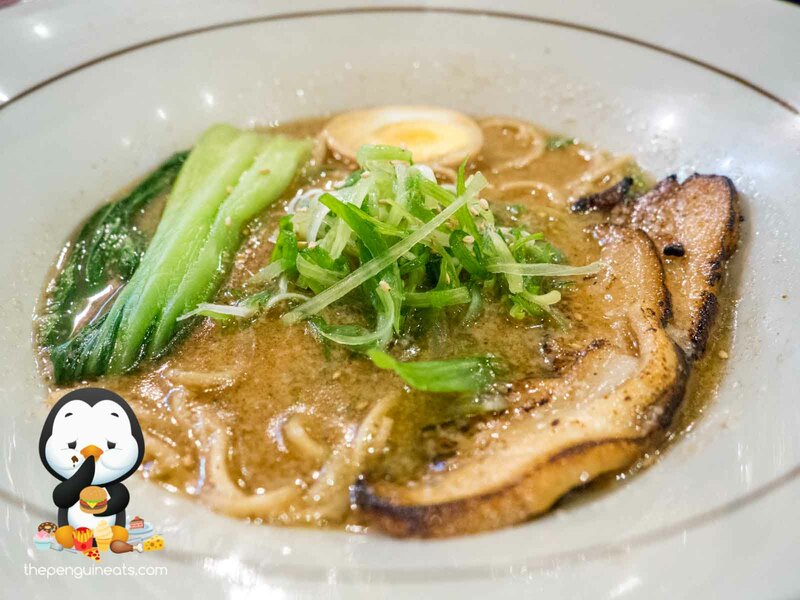 Within, the ramen was cooked to just the right softness, though the noodles themselves were slightly thicker than expected. This was accompanied by two slices of grilled pork belly, egg, and most oddly, Bok Choy. 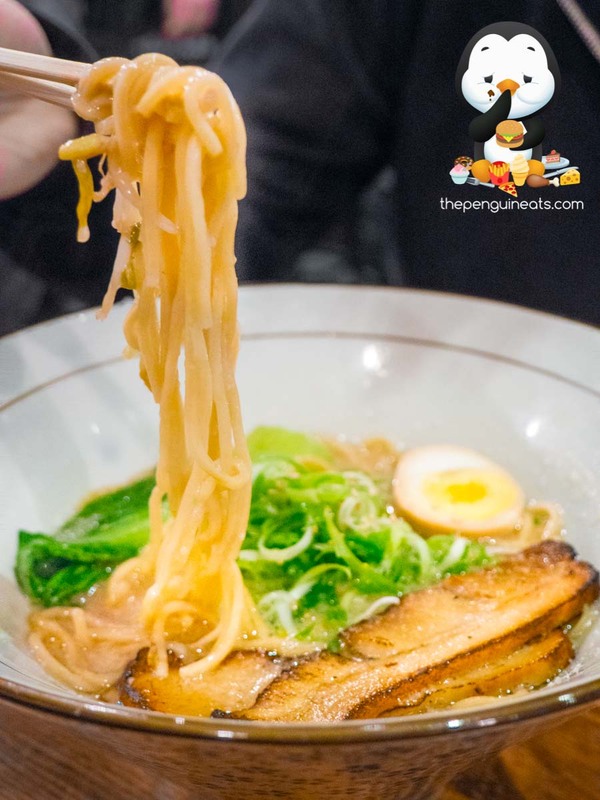 The best bit of the ramen was of course the pork belly, which were nicely charred and offered an aromatic experience, roasted to a pleasant softness with a beautiful pork flavour. The Shujinko Ramen was not too dissimilar. While the broth was slightly less rich, the taste was a tad saltier. The same pork flavour was pleasant and forward, and the ramen once again deliciously soaked up the bold flavour. 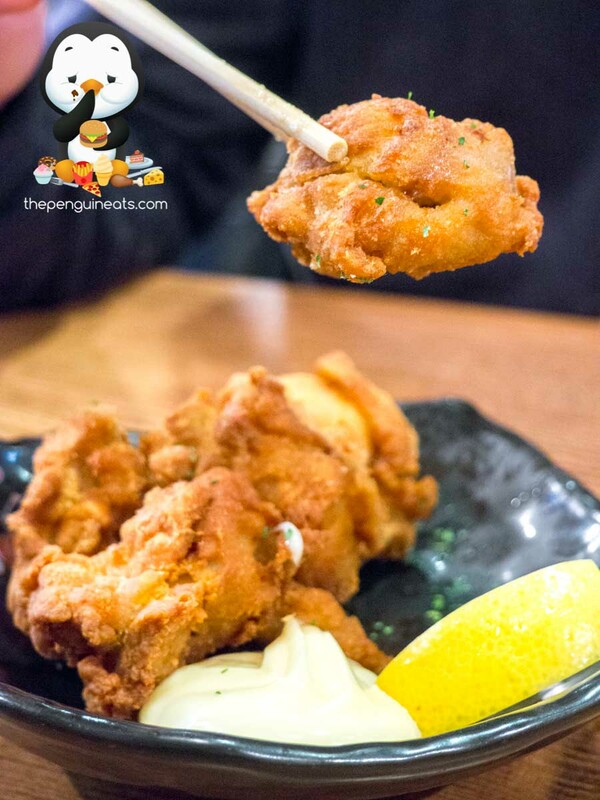 The Karaage Chicken didn’t quite impress on this occasion. While the chicken was fried to a nice crisp with a crunchy golden brown outer, the chicken within was unexpectedly tough and a wee bit dry. 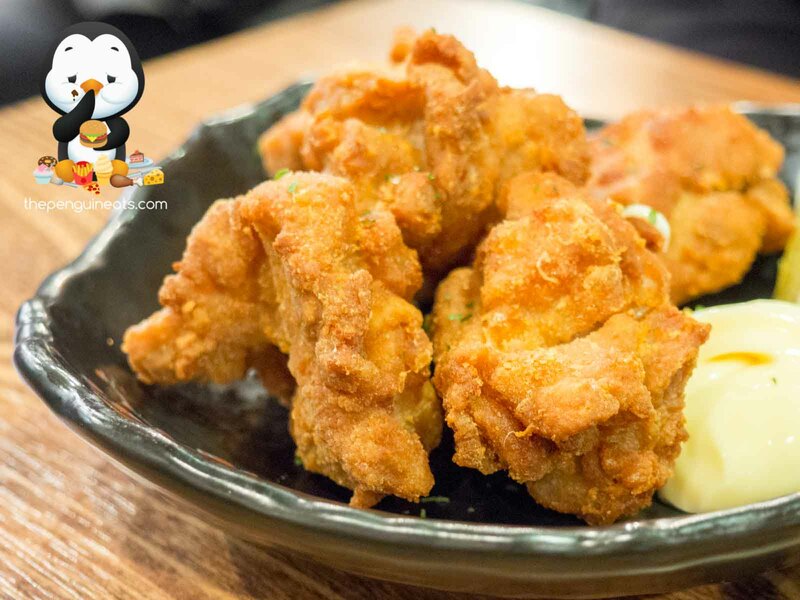 The Mayo served alongside certainly helped, though we’ve had much better karaage elsewhere. 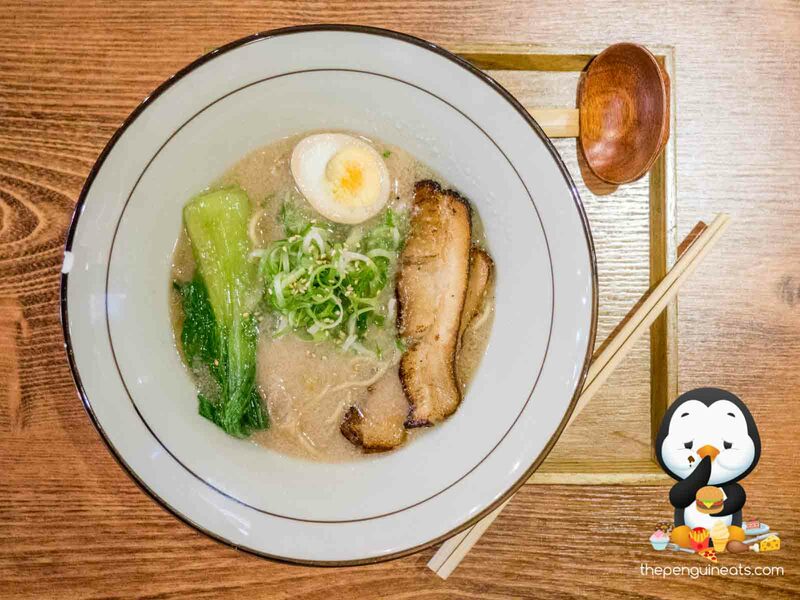 Having been to Japan, the authenticity of the ramen served here is questionable at best. The egg, which should be soft boiled and still runny, was most definitely fully cooked on this instance. 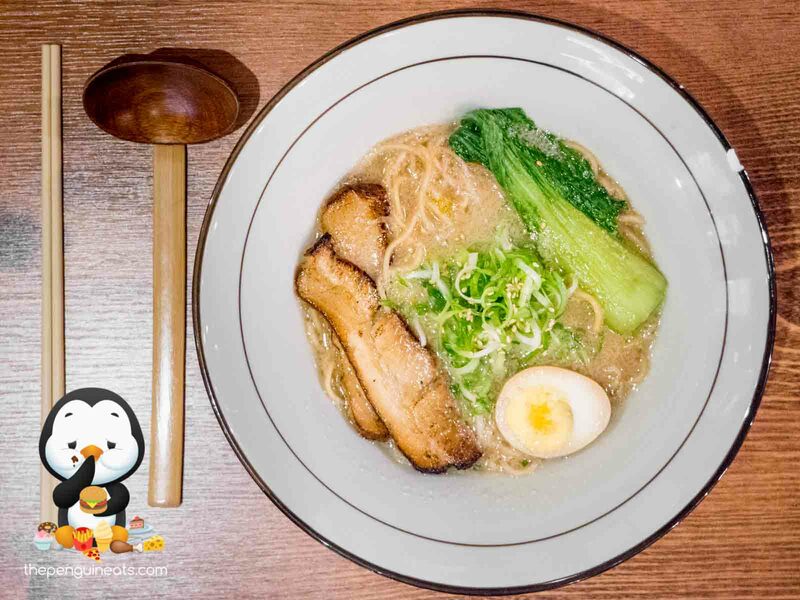 The addition of bok choy is strange, and is definitely not something we’ve seen ever before in the ramen homeland of Japan. 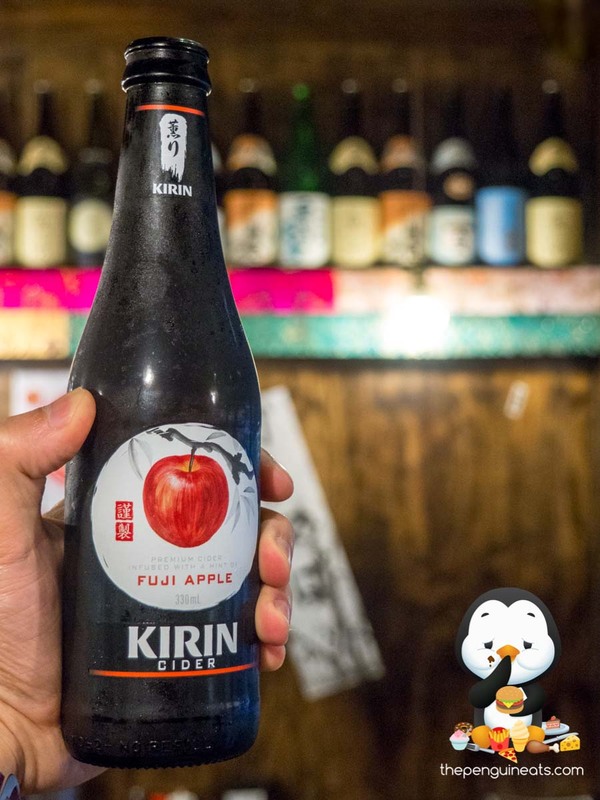 As a twenty-four-hour ramen joint, Shujinko is designed to be a fast paced eatery that gives patrons a taste of Japan. 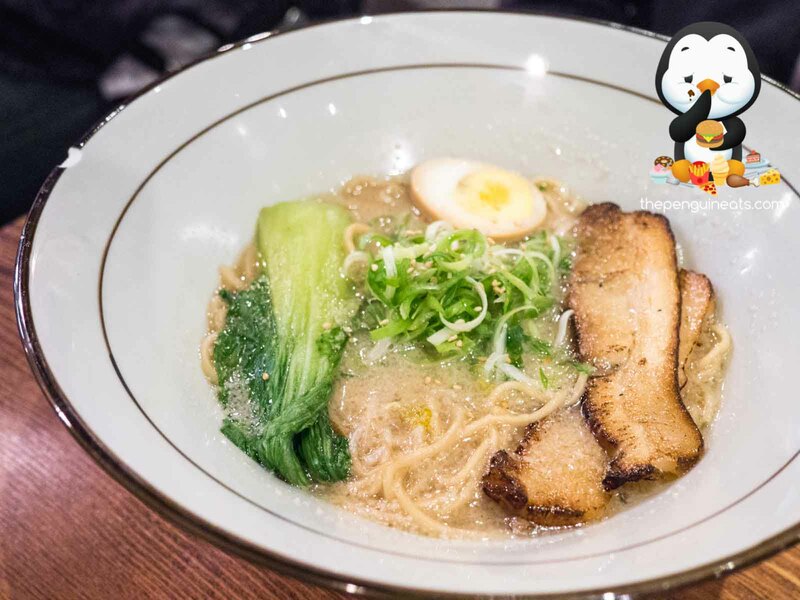 The ramen may not be strictly authentic, but for a quick, affordable bowl of noodles, you can’t look past this place. Sure. 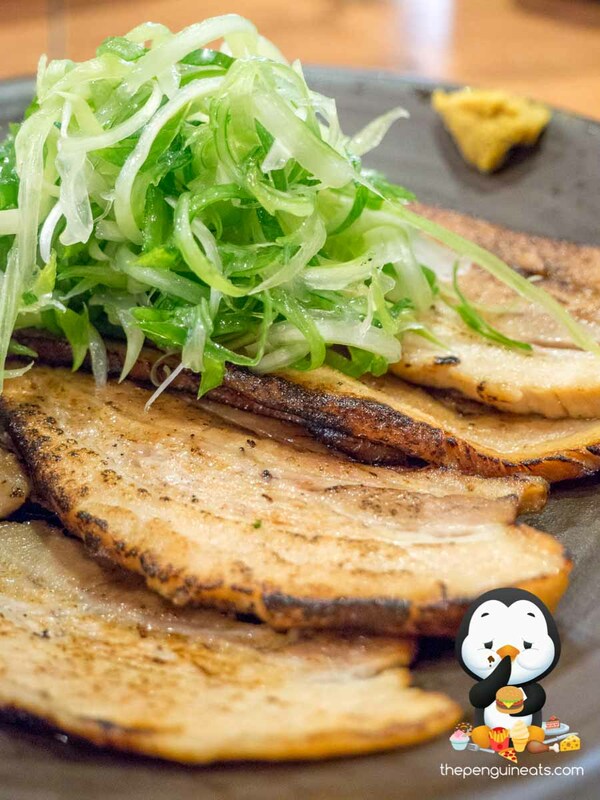 Count us in for more of that grilled pork belly please! 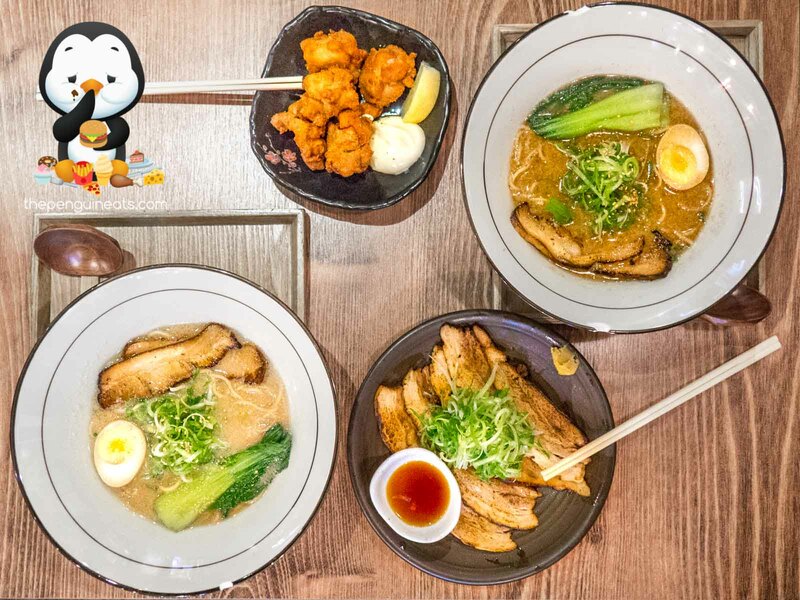 Penguineats would like to thank Shujinko Ramen for inviting us.